Are you addicted to Words With Friends? If you want to play a game, feel free to hit me up. My username is bmohr05. Ok, I know, I’m totally geeking out over here, but I thought it was too cool not to share. 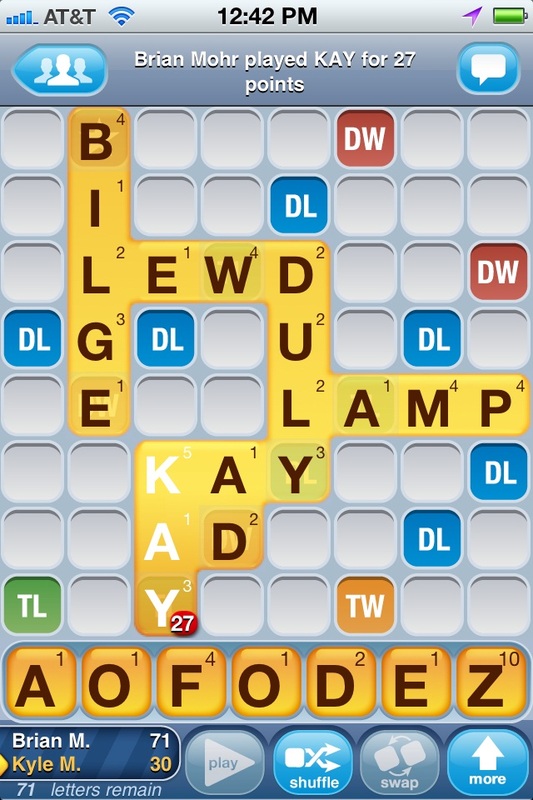 This entry was posted in Just for Fun, Words With Friends and tagged Words With Friends. Bookmark the permalink.